Analysis: While Washington can't be expected to duplicate Brown's level of play, he figures to see enough work opposite JuJu Smith-Schuster on Sunday to merit Week 17 lineup consideration. Analysis: This was the sixth of 13 games in which Washington was held without a reception and he has caught just 13 of 35 targets for an abysmal 37 percent catch rate. The Steelers needing a win and help to get in to the postseason, but there are much better receiving options than Washington in Week 17, despite facing a Cincinnati defense that ranks 30th in the league against the pass. Washington caught two of four targets for 11 yards during Sunday's 24-21 loss to Oakland. 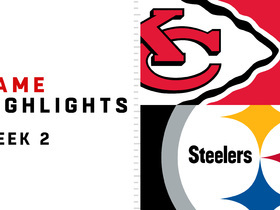 Washington will be part of the Steelers' game plan during Sunday's game against the Raiders, Jeremy Fowler of ESPN.com reports. Washington could see an increase in snaps for the Steelers going forward, Jeremy Fowler of ESPN.com reports. Analysis: Fellow wideout Justin Hunter (shoulder) was placed on injured reserve Tuesday, so Washington could see the field in his absence. 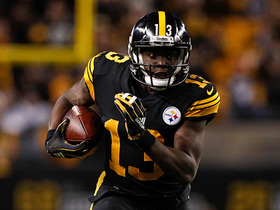 Along with Hunter out, Ryan Switzer was placed in concussion protocol Monday, so Washington could vault up to third on the depth chart behind Antonio Brown and JuJu Smith-Schuster. Washington was a healthy scratch for Sunday's game against the Chargers, so his role going forward remains uncertain. Washington is a healthy scratch for Sunday's game against the Chargers. Analysis: Sunday's decision is the second time this season Washington has been a healthy inactive, as he is coming off a performance last week in which he failed to record a catch on three targets. The rookie second-round pick has caught only eight of 25 passes for 77 yards and a touchdown in 10 games. 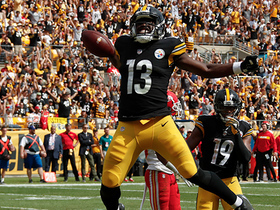 Darrius Heyward-Bey and Justin Hunter are both active and can serve as the Steelers' No. 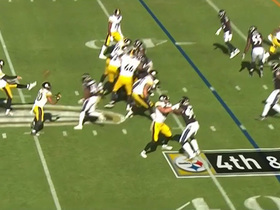 4 wide receiver against Los Angeles. Washington failed to catch any of his three targets during Sunday's 24-17 loss to Denver. Analysis: The rookie has a paltry eight catches for 77 yards this season and seems to have fallen behind Ryan Switzer (26-214) on the depth chart. Both have just one touchdown each and have a difficult Week 13 matchup against the Chargers, who have allowed wide receivers to score just one touchdown in the past three games. Washington caught one of three targets for 11 yards during Pittsburgh's 20-16 win against Jacksonville. Analysis: The catch was just his third in his last five games and despite playing from behind Washington did not see a single target after halftime. He seems to be an afterthought in the offense with just eight receptions for 77 yards and one touchdown heading in to Pittsburgh's Week 12 contest against Denver. Washington did not receive a single target in Thursday's 52-21 win over Carolina. 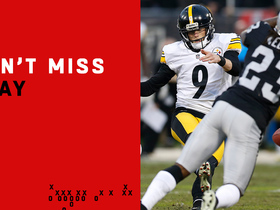 Analysis: The rookie receiver played more offensive snaps (46) than JuJu Smith-Schuster (42) but never saw a look from Ben Roethlisberger all game. This was the first time Washington failed to be targeted since Week 1 but it was his fourth game without a reception. 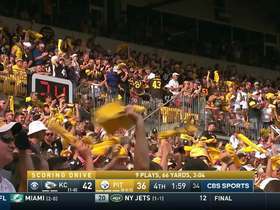 With just seven catches for 66 yards and a touchdown this season he just isn't a significant piece of Pittsburgh's offense. 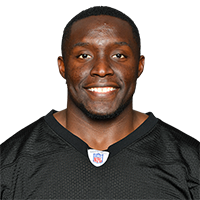 Washington shook off a knee injury to put forth a full practice Tuesday, Teresa Varley of the Steelers' official site reports. Washington caught two of five targets for 17 yards during Sunday's 23-16 win over Baltimore. Analysis: A healthy scratch in Week 8, Washington returned to action but didn't contribute much despite the five targets, which matched his highest single-game total. The receptions were his first since Week 4 -- also against Baltimore -- giving him seven for 66 yards and a touchdown on the season. Expect a similar performance against a tough Carolina defense Thursday in Week 10. Washington is active for Sunday's game against the Ravens, Ray Fittipaldo of the Pittsburgh Post-Gazette reports. Washington said that he earned more reps in practice this week, which could translate to an increased role in the Pittsburgh offense Sunday in Baltimore, Jeremy Fowler of ESPN.com reports. Pittsburgh Steelers wide receiver James Washington pulls in a leaping 32-yard catch on a pass from his quarterback Ben Roethlisberger. 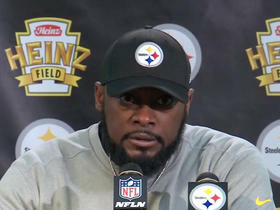 Pittsburgh Steelers head coach Mike Tomlin discusses his team's Week 15 win over the New England Patriots. Pittsburgh Steelers wide receiver James Washington breaks a tackle on a first-down catch for 24 yards on a pass from his quarterback Ben Roethlisberger. 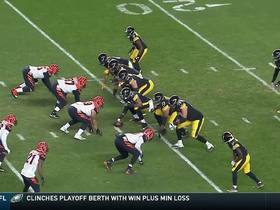 Pittsburgh Steelers quarterback Ben Roethlisberger shows punting skills on quick kick against the Baltimore Ravens in Week 9.